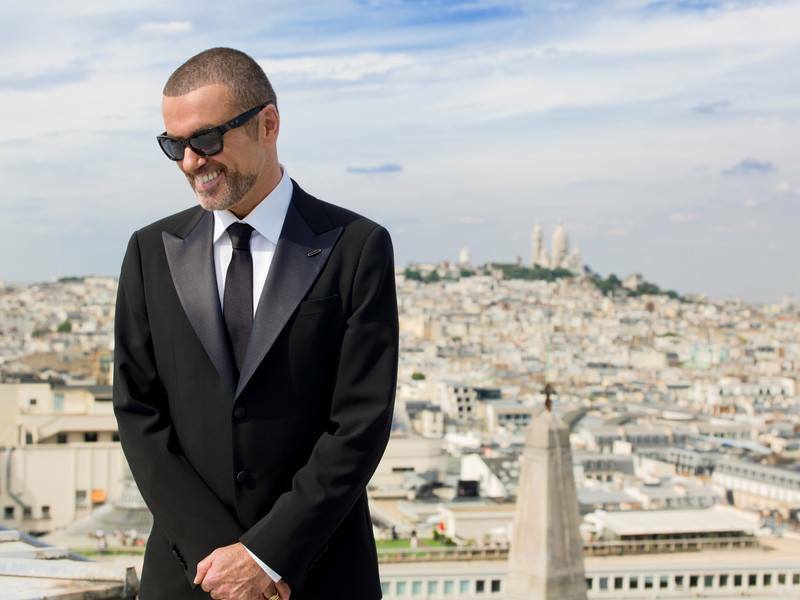 The article “George Michael voices hopes after illness ‘nearly killed’ him” was written by AJ Delafield and published in the Ham&High local newspaper on June 5, 2014. He wanted, he said, to really explore and showcase his vocals, backed by an orchestra in each new location. And, considering his extraordinary range, that seemed sensible enough. Symphonica, Michael’s sixth solo album, was recorded during his phenomenally successful tour of 2011 and 2012. However, when you consider how desperately ill he became in 2011, the fact that he is able to record music at all is an achievement in itself. On tour in Austria, he collapsed one evening before a performance and was rushed to the city’s state-of-the-art hospital, where he was diagnosed with acute pneumonia. The George Michael who greets me for this rare interview (the singer is notoriously reticent about talking to the press) appears to be fit and healthy. Dressed today in a checked shirt and jeans, and with a pair of professorial glasses perched on his nose, he is now back in the studio and working hard on original material for his next album. Although he hopes to release it next year, Michael – who is not known as a perfectionist for nothing – won’t let go until he’s satisfied that it’s flawless. In the meantime, Symphonica will keep his fans happy. The singer has breathed new life into his classic hits, including Cowboys and Angels, A Different Corner and You Have Been Loved. Other artists, too, such as Stevie Wonder, Nina Simone and even Terence Trent D’Arby’s Let Her Down Easy (the album’s first single) are all given the magic Michael treatment. The first time I met George Michael was on a freezing cold evening in November 2006, when the star had just begun the British leg of his first world tour in over 16 years – ‘25 Live’. There was no entourage that night – just Michael, me and his make-up girl, patting compressed powder onto his face as I asked him questions in his back-stage dressing room at London’s Earls Court Arena. It was the star’s friendship with former French First Lady, Carla Bruni, that helped him secure that famous venue for his ground-breaking performance, and the whole evening has been captured on film for a special TV documentary which will be shown first in Britain and then other countries around the world in the coming months. Filmed in both colour and black and white, it includes much of Michael’s performance that evening, as well as intimate back-stage footage and studio shots of the star working with Phil Ramone. After three decades of hits, is it possible for him to analyse or pinpoint what exactly are the ingredients that go into making music that stands the test of time? He considers for a moment. “I think it’s heart,” he says eventually. “It’s the desire to communicate genuinely, rather than a desire to show off and make a bit of money. “I always had a strong intent to be direct and emotional with my songs, and that’s never left me. When music comes from the heart it’s as much an artistic statement as a painting or a book.” And that’s why, he thinks, artists like Adele have made such an impact over the last few years, paving the way for other singer-songwriters who have genuine soul to follow in their footsteps. Who indeed? But we shouldn’t forget that, as George himself declared – sometimes it’s all about the voice. George Michael’s Symphonica is out now. Visit georgemichael.com. NB. A J Delafield met George Michael before his brief health scare in May. The Ham&High has however been reassured that Michael is once again fit, healthy and back in the studio recording his new record.